FACT CHECK: Was the World's Largest U.S. Flag Displayed at Hoover Dam? A photograph shows the largest U.S. flag ever made, displayed in front of Hoover Dam. 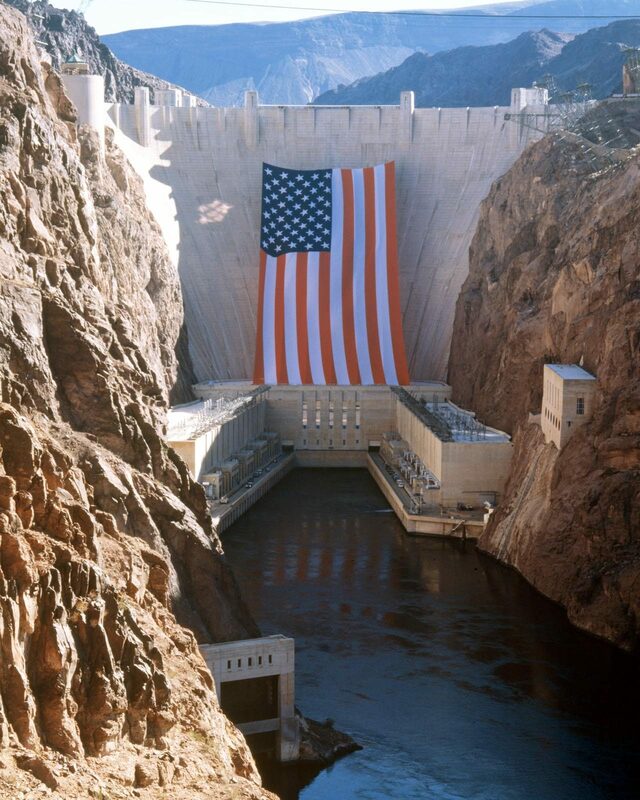 May 1, 1996, a 505 by 255 foot American Flag was flown from the downstream face of Hoover Dam. The flag itself weighed 3,000 pounds and was hoisted by 3 separate cables located at the top of the Dam. The flying of the flag was part of a ceremony in which the 1996 Summer Olympic torch was carrried across Hoover Dam. The photograph is a vertical view taken downstream from the dam. Demski’s 505-foot-by-255-foot American flag, which was featured in the Guinness book in 1994 and 1995 as the world’s largest flag, climbed to new heights. Until this year, the Long Beach, Calif. resident’s flag had never “flown.” It was just the world’s largest flag. But a brief flight at the Hoover Dam this spring put the flag in a different category: The largest flag flown. On May 1, Demski’s 1.36-ton flag, with stripes nearly 20 feet wide and stars measuring 16 feet point-to-point, was raised up the side of the dam on the Nevada-Arizona border. The Olympic torch relay was passing through and Demski wanted to pay tribute to the flame bound for Atlanta. The 128,775-square foot banner was pulled up with three air tuggers (winches) with three half-inch steel cables. Seven other cables were used to guide the flag up. Slowly and methodically the stars and stripes rose from atop a six-story building beneath the dam and unfurled in patriot splendor. Then the winds took their best shot. “It was just like a rifle shot,” Demski said. One cable snapped and the flag had to be lowered. “It was awful. As we were bringing it down three more cables snapped,” said Demski, who operates a mail oder bumper sticker business. The powerful gusts tore the double double-stitched nylon flag in three places, including a gash nearly 100 feet long. Demski’s flag was down before the relay team ever saw it. But the hour “flight” was long enough. 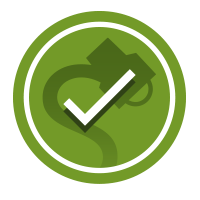 Demski’s feat was approved by The Guinness Book of World Records and will be listed in the 1997 United States edition to be released in October, according to John Hansen, research manager of Guinness Media. The previous record was 229-foot-8-inch by 328-foot-1-inch Brazilian national flag unfurled form a flagpole in Brasilia. Superflag was the world’s largest flag (and in turn the largest U.S. flag) when it was unfurled at Hoover Dam in 1996. Since then, however, larger flags have been created in other countries. As of this writing, the Guinness Book of World Records lists the largest flag at 101,978 m² (a record set in Qatar in 2013). However, Superflag likely still holds the record for largest U.S. flag. The Guinness Book of World Records doesn’t take country into account for its various “largest flag” records, so it currently includes no listed record for “largest U.S. flag.” However, we have not been able to find any reports of a U.S. flag superseding the Superflag in size. Times Leader. &nbspl 28 August 1996.